Many thanks to Dave Kay for alerting me to Meols being featured on a BBC documentary in a discussion about the Romans. 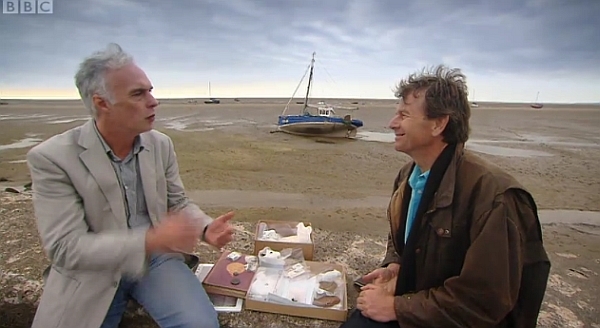 It’s fascinating to see a coin found in Meols being discussed – view the programme in BBC iPlayer right here (UK only). [EDIT]: oops, forgot to mention, fast forward to just after 24mins. Thank you to everyone who came and supported us at our Friends and Family Day on Sunday. A good time was had by all in spite of the soggy field. Thank you to all our helpers and for all the generous donations.